WHAT DO I GET FOR BETA-TESTING? Test-drivers not only get an early go at “finding their night” with this clever app, they’ll also score an invite to the Grab Some Buds Beta-Tester Launch Party on Tuesday, December 4th, an evening featuring a Budweiser-stocked open bar, DJ Sean Glass spinning, models to show you the app’s ins & outs, and more. 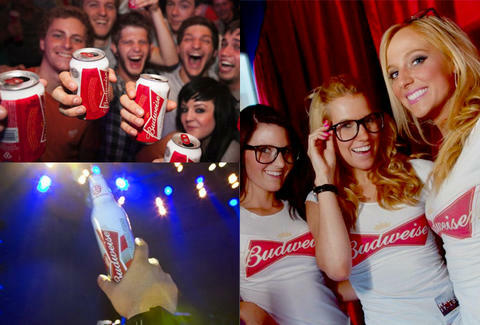 “Grab Some Buds," get it? Sure, NOW you do..
HOW DO I GET IN ON IT? Just drop your deets here for a chance to beta-test the app and score an invite to the party. Whatever else you do to be selected -- rubbing Buddha bellies left-and-right, vigorously knocking on wood to the point of splinters, praying really hard that Mercury isn’t in retrograde -- is totally up to you.